We are well into the swing of the twenty first century, and it seems that there are new and exciting technological marvels coming out every day. If you’ve got an automatic garage door in your home, then listen up! There are some great little gadgets out there which allow you to cut the need for a remote completely, by connecting to your phone and tablet by either using Bluetooth or the internet. If this has piqued your interest, then here is a rundown of how you can enable your opener's connectivity and what you need to think about if you do. 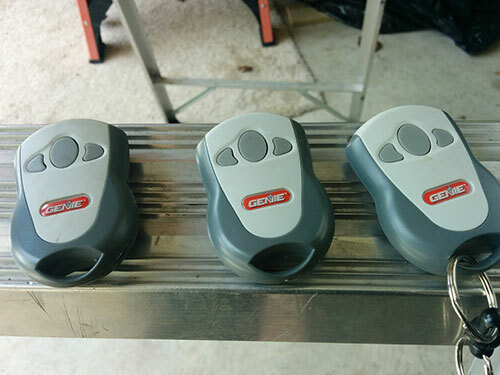 Connecting your garage door to Bluetooth is pretty easy and not too expensive. All you need is a Bluetooth compatible opener receiver, and all your smartphones and tablets will connect seamlessly and allow you to open your garage from anywhere in the house. The brilliant thing about Bluetooth is that it is quite secure. Most Bluetooth receivers require a password which is only known by those in your house, and requires you to pair whichever device is connecting to your receiver. If your phone or tablet gets stolen and you’re worried about outsiders having access to your house, then the receiver can easily be reprogrammed. But mobile technology doesn’t just solve the problem of how to open your garage from anywhere in the house, it also solves the problem of how to open it from anywhere at all. Whether you’re in the kitchen, at the office, or on a cruise ship in the middle of the Atlantic, so long as you have an internet connection on your phone, you’ve got the remote for your automatic garage door. What good is a garage door remote if you need to open up for the delivery guys at home, while you’re at the office? Thanks to smartphones and the internet, you can now open your entrance from anywhere. All you need is a receiver that has internet capabilities, and of course a connection to the internet. Once you’ve had that installed, you can pair your system up with your mobile device and there you have it, a remote with an infinite range. There are some concerns with this. Since the web is not a securely closed network like Bluetooth is, there is always the chance that your system can be hacked. But if you keep your home’s network secure, and your mobile devices safe, it’s very unlikely that you’ll ever have it happen to you. These are some pretty exciting pieces of technology, no matter what you think about them. They are innovative and simple, and will transform the way your house works, especially if there are a lot of people in the house who need their own remotes.